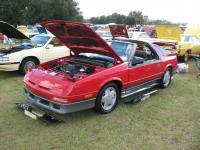 I've also been sent your way for door & t-top seals for the 87 Shelby Daytona. Even if you can point me in the right direction i would be in your debt. Seems like they are impossible to come by these days.